Thinning hair can be a real nightmare. If the thickness of your hair has been dwindling consistently, perhaps it is time to try out some home remedies. Fortunately, there are some simple things around your home which can help you with your hair regrowth goals. Here are the top 20 homemade recipes and remedies to help you fight hair fall and promote hair regrowth. 1. Hot Oil: Start with the simplest of all treatments: Hair fall is often a result of a lack of nourishment of the hair roots. When hair roots become weak, they do not provide adequate anchoring to the hair, making them prone to damage. A hot oil massage can certainly turn things around by nourishing the scalp and improving hair strength. A nourished scalp also promotes hair growth. Give yourself hot oil massage at least once a weak and leave your scalp oiled overnight. Wash it in the morning. 2. Eat right: Lack of nutrients in your diet can be a major cause of hair loss. If your hair is thinning, perhaps it is because you are depriving your body of some vital nutrients. Eat a diet rich in iron, vitamin E, zinc and folic acid. Soybean, pumpkin seeds, liver, bran flakes, shellfish and eggs are good sources of all these nutrients. 3. Aromatherapy: Essential oils used in aromatherapy have some great benefits. There are several oils that can nourish your scalp and promote regrowth of hair. These include oils of lavender, almond, rosemary and sage. Do talk to an aromatherapist about how to use these oils and what combinations would be suitable to your skin and hair type. 4. 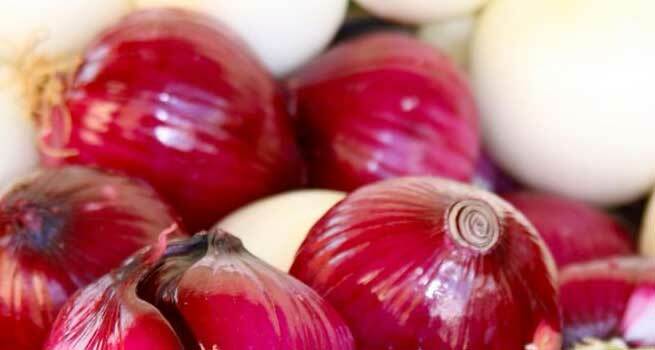 Onion juice: This pungent everyday kitchen item is not only good in your curries. In fact, it can be a great addition to your hair care regimen too. Onion juice is rich in sulphur, which naturally removes any fungal growth or dandruff on your scalp. By keeping your scalp clean and healthy, it prevents disease and promotes hair growth. 5. Curry leaves and coconut: You can make your very own, personal tonic using these ingredients. Add 10-12 fresh curry leaves in a cup of coconut oil and boil the concoction until you see black residue. Store this oil and apply it at least twice a week. Leave overnight after application for best results. This will certainly help you see quick results. 6. Castor oil: This thick oil works wonders for your hair roots. It strengthens hair follicles and promotes growth of lush, thick hair. It prevents frizzing and adds definite volume to your mane – making it looking healthier and fuller. Apply twice a week and leave overnight before washing it off. 7. Fenugreek and mustard oil: Fenugreek seeds, when soaked in mustard oil, can be a great tonic for your hair. For best results, soak the fenugreek overnight and then grind to a fine paste. Now add this paste to mustard oil and heat the two together to a lukewarm temperature before applying it to your scalp. 8. 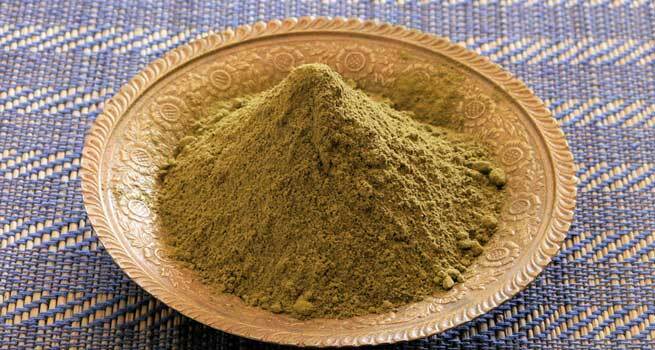 Henna: Henna has natural ingredients which nourish your scalp and improve hair quality. Make a paste with water and apply once a week before washing it off. 9. 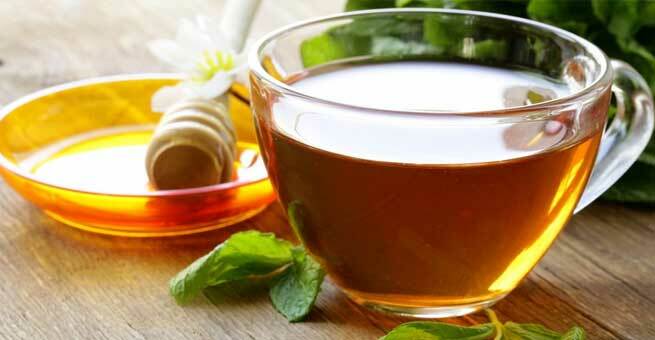 Green tea: A cup of green tea has many health benefits. It is rich in antioxidants and can also work wonders for your scalp and hair. Just brew a cup and rinse your hair with it once a week. You will see visible results soon. 10. Lemon juice: For those, who continue to have dandruff, lemon juice is a boon. Lemon juice helps destroy microorganisms and fungal strains on the scalp, which prevent hair growth. Add lemon juice to your hair oil before application to promote scalp health and hair growth. 11. Vitamin E oil: Vitamin E is great for hair health. Take this oil orally as supplements and also apply it to your hair roots to promote growth. 12. Vinegar: Apple cider vinegar rinse after every hair wash, can really help improve hair growth. 13. Banana: Bananas are rich in vitamins and minerals. A scalp mask made with mashed bananas is deeply nourishing and very good for your hair. 14. Avocado: Among the best ingredients for your hair, mashed avocado or avocado oil can improve blood circulation to your scalp, therefore stimulating hair growth. 15. Beetroot Juice: Beetroot is rich in vitamins A, B, C and E. It acts as a nourishing serum for your hair and is certainly among the best tonics for hair growth. 16. Coconut milk: The milk of a green, tender coconut is very nourishing to your scalp. 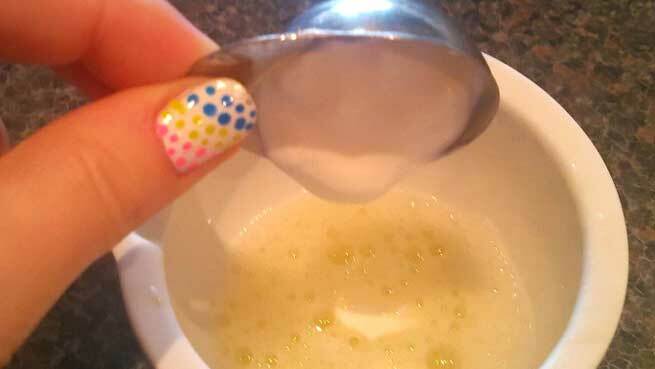 If you have thinning hair, applying coconut milk to your scalp will certainly help. 17. Oatmeal: For hair that has a lot of grime or dandruff, an oatmeal mask can be deeply cleansing. Apply this mask before your shampoo and conditioning routine and then gently exfoliate before rinsing it off. 18. Egg and yogurt: Egg yolk has long been known for its nourishing qualities. When combined with plain yogurt, it becomes a potent solution to all your scalp problems. Apply the mixture to your hair and massage into your scalp. Leave for an hour before rinsing off. Wash your hair with a mild shampoo afterwards. 19. Mayonnaise: Though not recommended for your waistline, mayonnaise is certainly a great benefactor to your hair. Apply it to your hair as a mask and rinse with warm water. This will help hair growth. 20. Coffee Powder Mix: Mix about four teaspoons of coffee powder with 8 ounces of any mild shampoo and use this shampoo twice a week for hair growth.